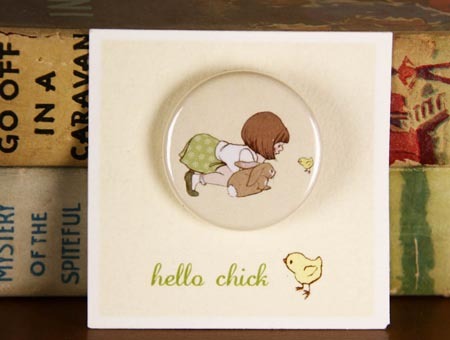 This is a little 1.25" badge featuring Belle & Boo's original illustration "Hello Chick!" This badge is the perfect size for childrens party bags, a cute stocking filler but mainly it just looks fabulous worn by you! We have other Belle & Boo badges click here to see them.